Florida Georgia Line won Best Collaboration Video at the CMT Awards last night and Best Duo. 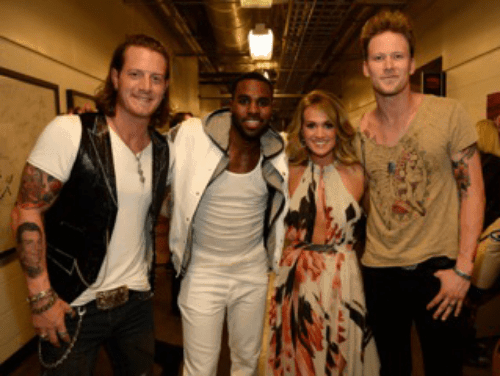 That is Carrie Underwood and pop star Jason Derulo in the photo, back stage right after they won the award. Tyler Hubbard is wearing his new KKDesigns WWII Pilot Wing ID Bracelet!